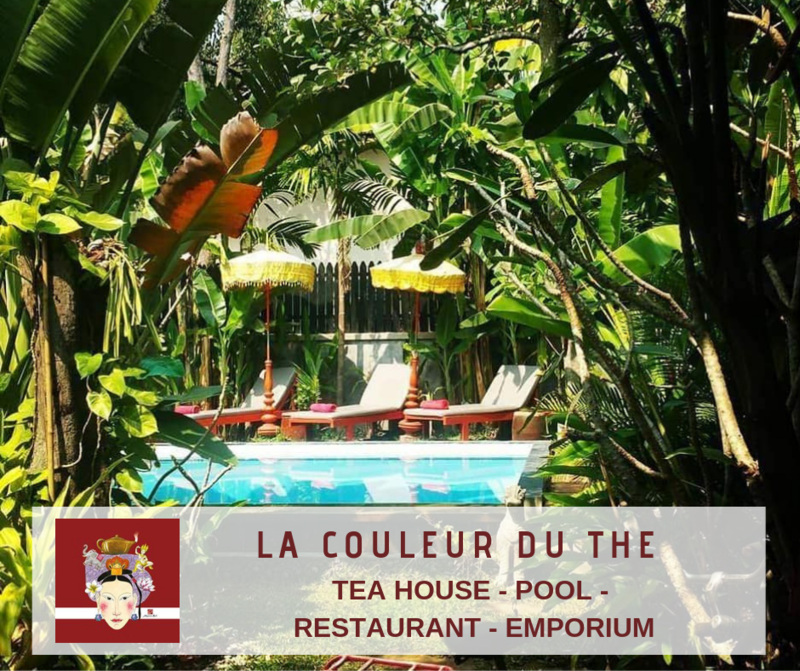 Near the city-center, along the river, in peaceful and dreamlike surroundings with a mystical atmosphere, the team of La Couleur du Thé will offer you the opportunity to taste a large range of teas, cocktails and refreshing drinks, accompanied with pastries and ice-creams. A spiritual fusion between the Khmer Kingdom, China and Tibet, the place, redolent with oriental and exotic fragrances, will provide tasty English, French or Vegetarian breakfasts under the roof of its shady terrace nestled in the green. For your lunch, you will enjoy savory tarts accompanied with various salads and club sandwiches. Address: Lane after the street 12, turn on the right, riverside way.